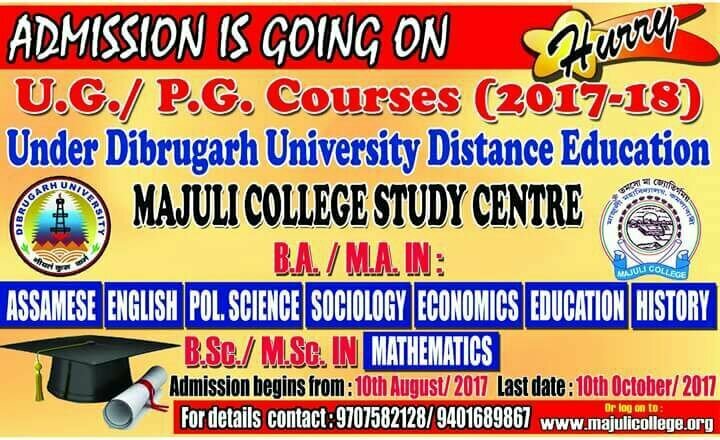 Two-year Higher Secondary course both in Arts and Science. Three-year Degree course both in Arts and Science. 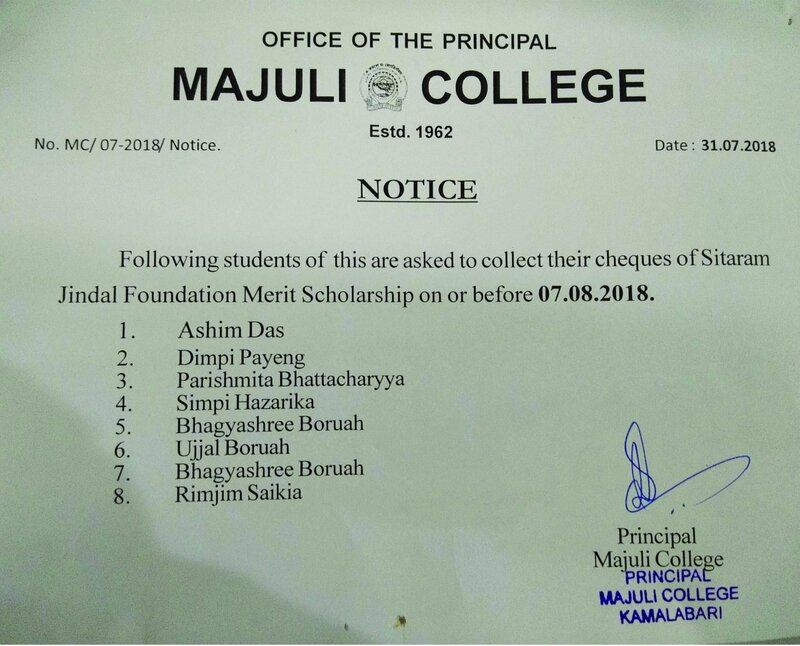 (i) Economics (ii) Political Science (iii) History/ Sanskrit (iv) Advanced Assamese/Sanskrit (v) Sociology (vi) Education (vii) Geography/Advanced Assamese (viii) Mathematics/History. (i) Physics (ii) Chemistry (iii) Mathematics (iv) Biology/Geography. 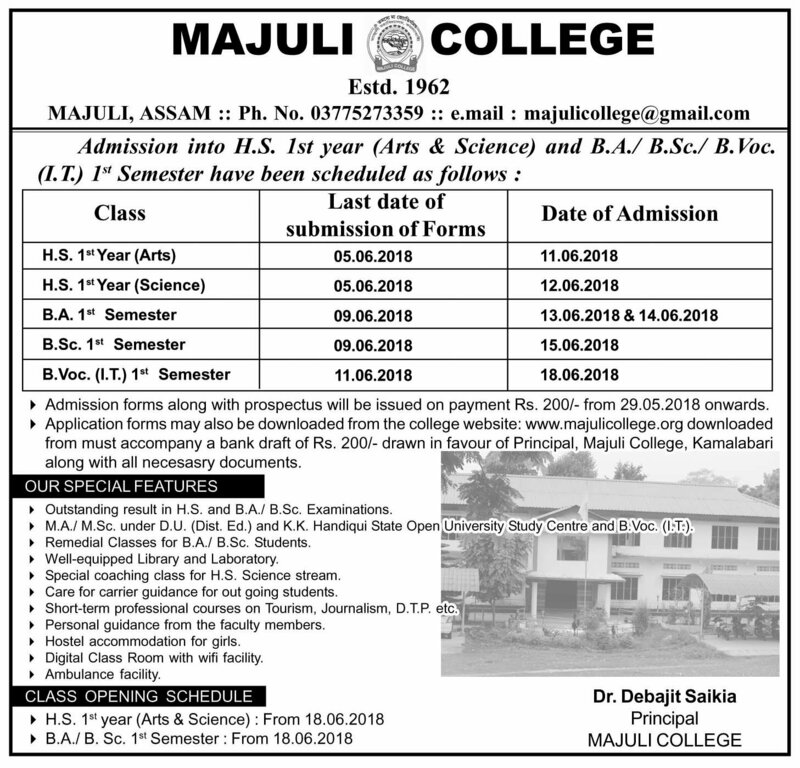 (i) History/Sanskrit (ii) Political Science (iii) Economics� (iv) Sociology (v) Education (vi) Geography/Elective Assamese (vii) Mathematics/History (viii) Philosophy. 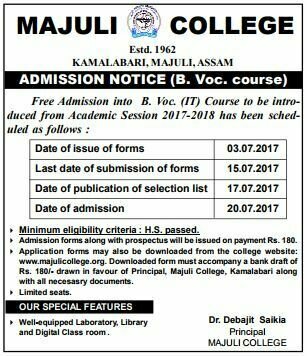 (i) Assamese (ii) English (iii) Economics � (iv) Education (v) Political Science (vi) Sociology (vii) History (viii) Geography (ix) Mathematics. 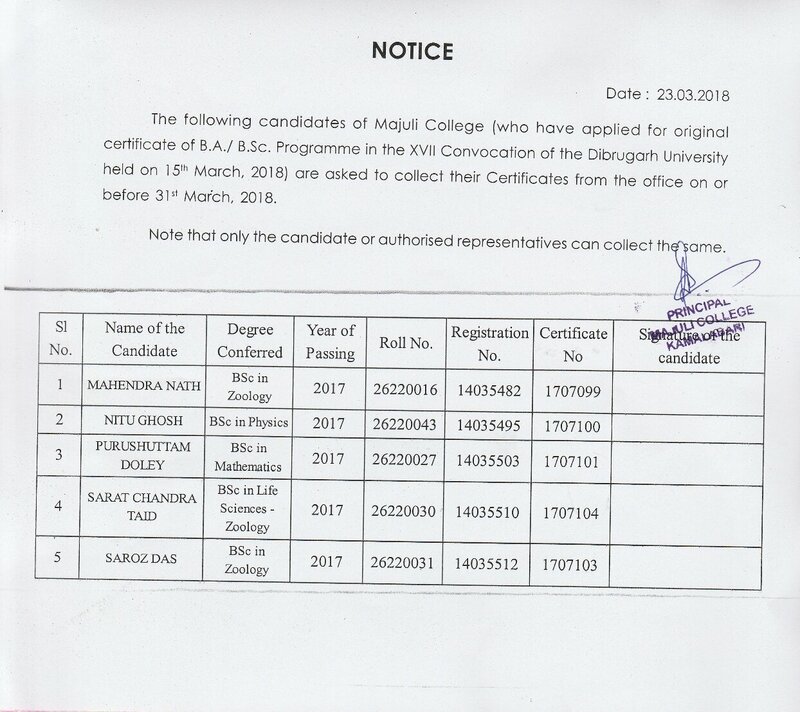 (iii) Any one subject as a core subject out of the following list provided that a student offering Assamese as Major subject won’t offer Elective Assamese. 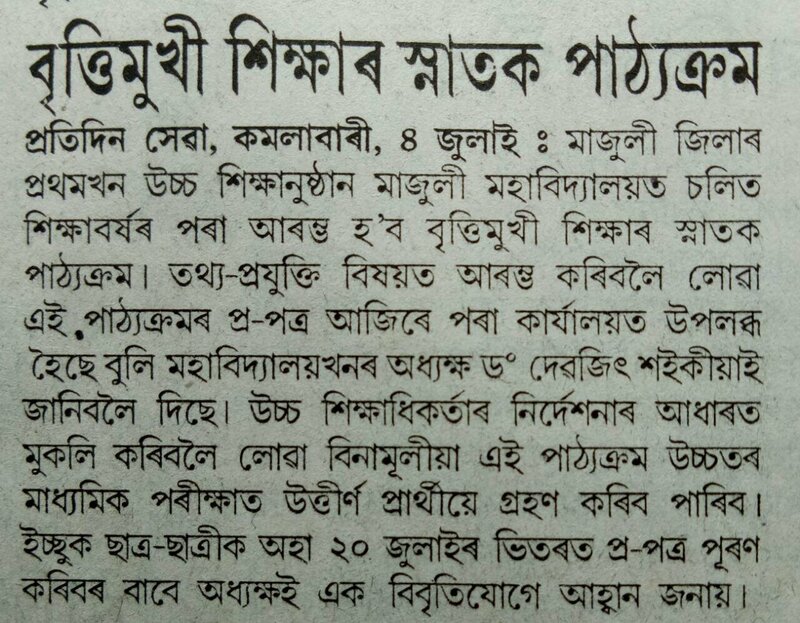 (i) History (ii) Sanskrit (iii) Political Science (iv) Economics (v) Education (vi) Geography (vii) Elective Assamese (viii) Mathematics (ix) Sociology (x) Philosophy. (i) Physics (ii) Chemistry (iii) Mathematics (iv) Zoology� (v) Botany. A student offering B. Sc. 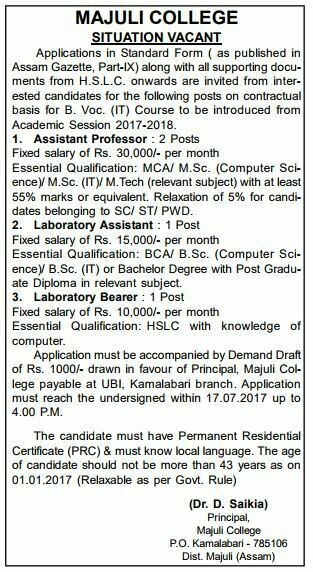 (Major) course will pursue the following subjects. N.B. 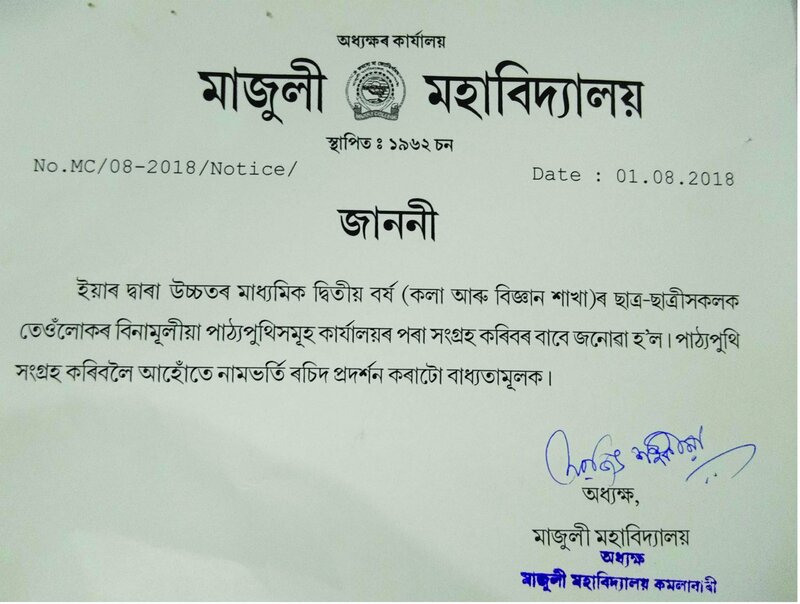 : No candidate shall be allowed to take any of the subjects under column ‘A’ below unless he/she has passed the corresponding subject under column ‘B’ in the Higher Secondary/ equivalent examination.